Wired and “freemium” guru Chris Anderson had dinner recently with Jon Lund, chief of the Danish Internet Advertising Bureau, and learned about a free business model gone sour. 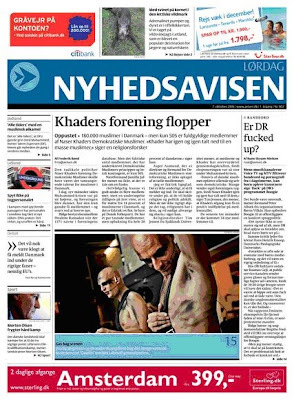 It seems in fall of 2006 a new newspaper called Nyhedsavisen entered the Danish market with a “double-free” model — the paper cost nothing, and it would also be delivered to homes for free. It was a foray by the Icelandic media group Dagsbrun to capture the Danish ad market but ended up decimating the nation’s newspaper industry, as other publishers tried to match the double-free model. In the end, three papers went bankrupt and the industry lost $150 million. What’s intriguing about the tale is how demand plummets when oversupply swamps consumers, even if the goods are free. Local accounts say Danes got fed up with six newspapers a day. Reminds us a bit of all the social media and mobile free apps competing for attention in the U.S. … or worse, the advertisers trying to buy their way into social media conversations with paid posts that no one welcomes. If supply saturates and prices can’t move lower than free, demand is going to run away.